Facing competition from a free tournament in Oakland and a particularly-fun adults-and-analog-clocks-only event in Carmichael, the Berkeley Open drew 60 players in four sections Sept. 14-16. Bryon Doyle directed. Derek Sijing Wu, who shared 1-3 place in the master section, played the game of the event. 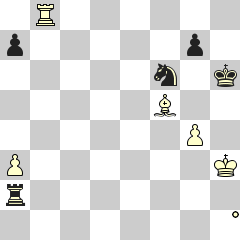 White played Nb4-a2+. 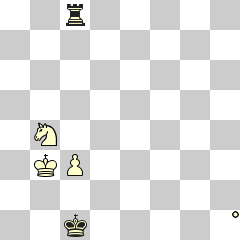 Black, having declined a draw offer a moment earlier, but with no winning chances, overstepped the time limit. Sriram Krishnakumar achieved a 2000 rating for the first time. He had help from his opponent in the last round. In reply to …Rxa3+, White walked into Kh4 g5#.